The day cream provides the skin with a powerful moisturizing agent. 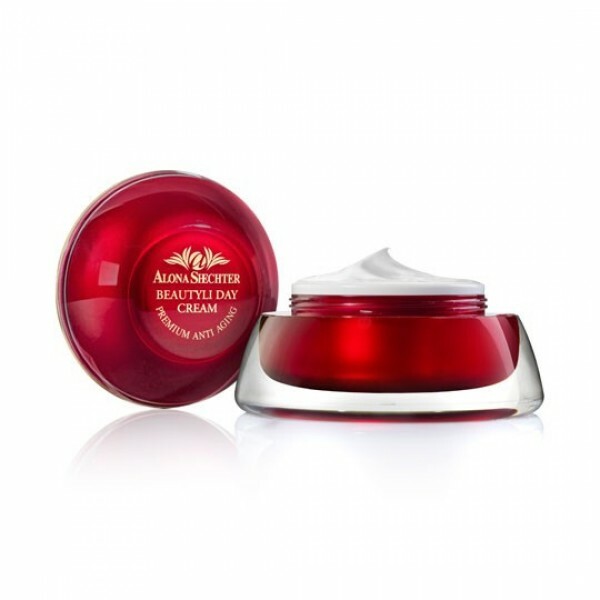 It is an anti-aging moisturizer with a unique combination of active ingredients. It contains Jade powder which nourishes the skin, slows the aging process, contributes to the preservation and renewal of the Dermal Collagen and leaves it with a soft and gentle texture. The special combination of Dead Sea minerals and medicinal herbs, which together create a change to the skin and make it feel younger, more radiant and smoother. Apply "Beautyli Day Cream" every morning all over the face and neck. Firstly, wash the face and neck with "Achillea Soapless Soap". Next apply "Classic Serum" and then apply "Beautyli Day Cream". Water (Aqua) & Acetyl Hexapeptide-8 & Ethylhexyl Palmitate & Cyclomethicone & Glycerin & Peg-100 Stearate & Cetyl Alcohol & Ethylhexyl Methoxycinnamate & Caprylic / Capric Triglyceride & Beeswax & Camellia Sinensis (Green Tea) Extract & Chamomile (Anthemis Nobilis) Extract & Glyceryl Stearate & Pomegranate (Punica Granatum) Extract & Fragrance (Supplement) & Nephrite (Jade) Powder & Ubiquinone & Tocopheryl Acetate & Allantoin & Sea Salt (Dead Sea Minerals) & Edta & Amylase & Lipase & Protease & Polyacrylamide & C13-14 Isoparaffin & Laureth-7 & Lonicera Caprifolium (Honeysuckle) Flower Extract & Lonicera Japonica (Honeysuckle) Flower Extract.